Best Services of corporate identity in UAE mean being a recognized company in the market. There are many tools and moves involved in the creation of a corporate identity. The stepwise procedure implies a collection of complicated planning and creating strategies that will help you in establishing a dependable brand identity. One thing that people do not realize is that product branding’s a very complicated yet essential process and to be successful you need to have an in-depth understanding of market trends, competitor strategy, and apt creativity. Establishing a corporate identity in UAE through website designing and development or any other ways for that matter is not a one-time job, but an on-going process that gets better with age and understanding. Corporate identity is directly related to consumer beliefs and expectations, which is why you need a website design services in Dubai that honor your expectations, brand values and embodies the same in your brand identity. You need the expertise that can assist you in formulating a perfect brand strategy that shouts out a compelling brand message and ultimately is believable. People who are into branding do create messages, but not all words create the right hype or even end up with the client. Corporate identity is a combination is a combination of several integral elements that effortlessly deliver the right brand message to the audience manifold. The story of a robust corporate identity starts with a strong logo that stays in the conscious of people, long enough to create a mental connection. This is why brand identity has to do with visual elements more because they help in creating a strong connect between the viewer and the product. It is the same brand message that delivers through various mediums of brochures, videos, advertisements and websites, e-mailers, newsletters and even social media. The initial stages of advertisements and marketing promotions of any brand start with the creation of a company profile. You need a web design expert in Dubai who can present the company in an artistic manner. Introducing a company to the world is a responsibility that requires experience and passion to take risks. Some limited features need to be highlighted to grab attention in the shortest time, and those who are successful in doing this are the ones who are successful in the end because clients have their image in their minds imprinted. It is better to keep the profile the combination of imagery and quality information so that you end up creating something different and fruitful because profiling is all about long-term efforts. Website designing in Dubai includes the creation of eye-catching interfaces, motion designs with apt visualizations and chromatic strategies. Deployment of graphic technologies like Photoshop, Flash, Illustrator, etc. is imminent. E-brochures are the next world marketing and branding phenomenon that has reduced print and distribution costs noticeably. Now you have unlimited alternatives to experiment with the designs and channels of distribution. If you are interested in e-brochures, then go for someone with the highest success rates and those who have varieties regarding design so that they can present something close to your brand design. Business cards are inevitable, especially when you need to maintain a corporate environment with more business leads. Often estimated, business cards possess lots of importance in business meets where clients first want your business card for future consideration. This is where the game lies because a business card represents your company in the smallest manner. Today when we have business cards in millions, only those with a creative edge stand out from the crowd, which is why firms today are open to experiments. As mentioned earlier, the process of branding starts with a logo that is worth remembering. For instance, brands like NIKE and Adidas are the ones riding high on the success of their logo, and no one can deny the accomplishment they have today. To create a strong corporate identity, you need a logo that speaks for itself and does not need to explain itself. 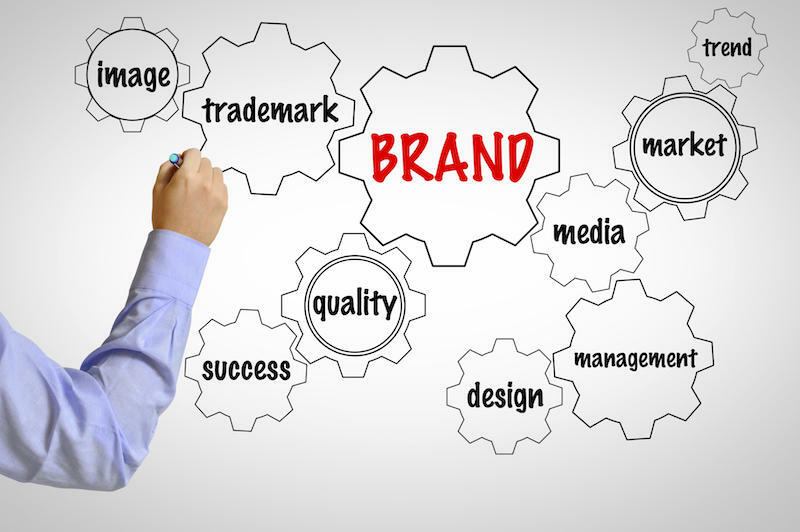 The logo should be an embodiment of the brand spirit and message, thereby speaking for itself. Don’t go for a logo just for the sake of visual appeal because it will lead to doubts in the mind of people or may turn out to be the reason for mockery for many. Hope this information was helpful. Corporate identity is a long process, which at present dominate by the art of website designing and development in Dubai.